The recording of Portnoy's "Caprice" was supported by a Webster University Faculty Research Grant, and by a generous donation from Bob and Nancy Klepper. The Department of Music is delighted to announce two new CD recordings by faculty members Kim Portnoy and Carolbeth True. 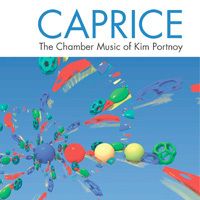 Portnoy, director of Music Composition, released Caprice, a collection featuring original chamber music recorded by Webster University faculty and other musicians from the Saint Louis area. The composition span a period of 14 years. "I love to compose," said Portnoy. "I would compose whether anyone asked me to or not. Fortunately, on occasion, I am asked: by individual performers and chamber ensembles, sometimes with a commission attached, sometimes not. Often those asking are friends, all are wonderful and accomplished musicians. That they ask me to compose music for them is a heartening vote of confidence." The recording was supported by a Webster University Faculty Research Grant, and by a generation donation from Bob and Nancy Klepper. Copies are available for purchase by contacting portnoki@webster.edu. True, adjunct professor of jazz piano, released her latest album, True Christmas, in late 2018 on the Autumn Hill Jazz label. The disc is a collection of inventive reharmonizations of classic Christmas carols, filtered through a contemporary lens. Performers in the group Two Times True include True on piano/keyboard, her son Dave featured on drums, and Glen Smith on bass. 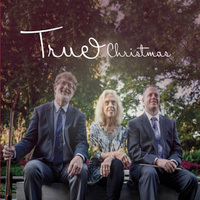 The recording is available at store.cdbaby.com/cd/twotimestrue, or by contacting carolbethtrue@mac.com.